Carla Shatz is Sapp Family Provostial Professor of Biology and Neurobiology and the David Starr Jordan Director of Bio-X, Stanford University’s pioneering interdisciplinary biosciences program that brings together faculty from across the entire university - clinicians, biologists, engineers, physicists, computer scientists - to unlock the secrets of the human body. She received her BA in Chemistry from Radcliffe College in 1969, an MPhil in Physiology in 1971 from University College London as a Marshall Scholar, and a PhD in Neurobiology from Harvard Medical School in 1976. Dr Shatz is a neuroscientist who has devoted her research career to understanding the dynamic interplay between genes and environment that shapes brain circuits - the very essence of our being. Her lab found that the spontaneous activity of neurons in utero is critical for forming and then tuning up precise neural connections in the central nervous system: the developing brain runs test patterns to validate and tune neural circuitry. 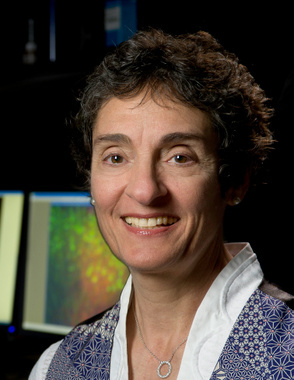 Her ongoing dissection of molecular mechanisms of circuit tuning has identified novel genes, including the unexpected finding that MHC Class I proteins (Human HLA), famous for their roles in immune recognition, are present in neurons and regulate synaptic plasticity and pruning during developmental critical periods. Her research on cellular and molecular mechanisms of how the early developing brain is transformed into adult circuitry has relevance not only for disorders such as autism and schizophrenia, but also for understanding the synapse loss in Alzheimer’s disease and how nervous and immune systems interact. Dr Shatz is past president of the 40,000 member Society for Neuroscience. Prior to Stanford, she was Chairwoman of the Department of Neurobiology at Harvard Medical School. She has received many awards and honors including election to the National Academy of Sciences, the American Philosophical Society, the Institute of Medicine. In 2011 she was elected as a Foreign Member of the Royal Society of London. In 2013, she received the Sackler Prize for Distinguished Achievement in Developmental Psychobiology and shared the Robert J and Claire Pasarow Foundation Award in Neuropsychiatry Research with Karl Deisseroth and Helen Mayberg. In 2015, she was co-recipient of the Gruber Foundation Neuroscience Prize with Michael Greenberg for their “landmark discoveries regarding molecular mechanisms through which neural activity controls the wiring and plasticity of the brain”. In 2016, she shared the Kavli Neuroscience Prize for her work in understanding how the brain's wiring takes shake during development. She has been awarded the 2018 Harvey Prize in Science and Technology from Technion, Israel Institute of Technology.